About "Congruent Triangles on a Coordinate Plane Worksheet"
Worksheet given in this section is much useful to the students who would like to practice problems on congruence triangles on the coordinate plane. 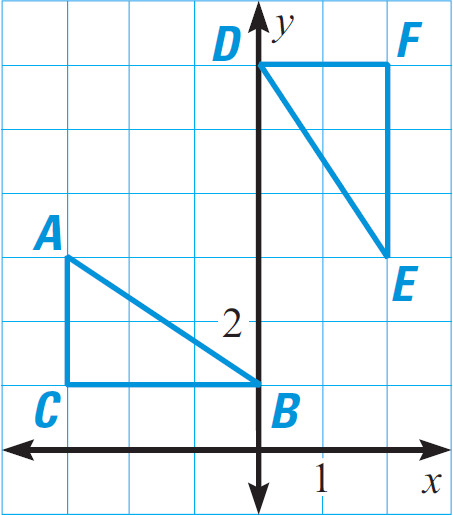 In the diagram given below, prove that ΔABC ≅ ΔDEF. 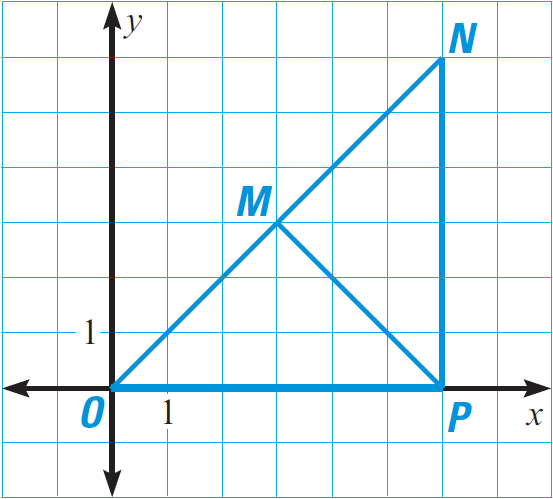 In the diagram given below, prove that ΔOPM ≅ ΔMNP. PM is the common side for both the triangles OPM and MNP. Use the distance formula to find the lengths of OM and MN. After having gone through the stuff given above, we hope that the students would have understood, "Congruent triangles on a coordinate plane worksheet".